Directions: From Rt. 116 in Bonneauville turn onto Maple St. across from Weaver’s Hardware. Turn onto right away lane to property between 2 houses on right as soon as you turn off Rt. 116. There is big apartment house on corner of Rt. 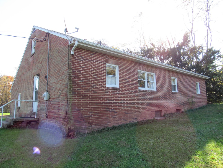 116 & Maple St. & right away lane is between that house & next house on Maple St.
Sunday Dec. 2 from 2-4 p.m.
FIXER UPPER masonry & brick built approx. 1,320 sq. 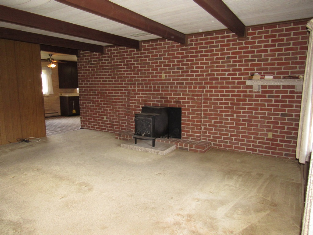 ft. 3 bedroom, 2 bath rancher home with attached 1 car garage on nice 1 acre lot. Property sits back off main road with right away to property. 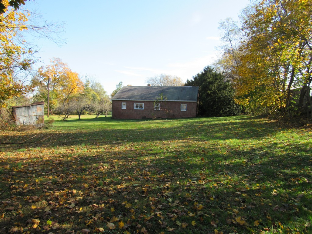 Property has private well & septic. 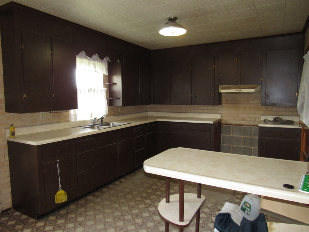 Home was built in 1967 & needs updated & is a fixer upper home. 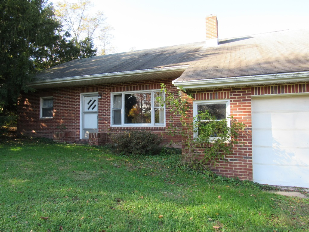 Home has attached one car garage, full cemented basement w/ cold storage room, 50 gal. electric hot water heater, circuit breaker electric & home has electric heat w/ heat controls in each room. Main level includes front entry w/ coat closet, living room w/ 2 full red brick walls & 2 paneling walls-woodstove & triple picture window, kitchen w/ dining area, side outside entry area to kitchen-garage & basement, full bath with shower off of kitchen, hallway to bedrooms w/ closet, 3 bedrooms w/ closets, full bath w/ tub & linen closet at bedrooms. Staircase off kitchen to unfinished attic area which possibly could be finished into living space. Located in Adams Co., Bonneauville Borough, Littlestown School district. 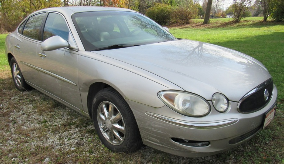 Car: 2006 Buick Lacrosse C 4 door car, gray paint w/ black interior. Car to be sold as is. Real Estate Terms: Call for terms.